Whether you are running a Hotel, SPA & Resort, or a country club, a good website design for hotels is becoming more crucial as travelers rely on their smartphones, tablets and computers to plan their vacations or decide where to spend the night. A clean and appealing website will draw a client’s eye and convince them that your hotel outshines the competition. That’s why it’s so important to go with a professional Hotel & Hospitality web design service provider such as Sierra IT Group. We can capture your essence and create an attractive website that invites the traveler to book confidently, absolutely certain they have made the best selection. At Sierra IT Group we offer Hotel website design & development services for Hotels, Resorts and Spa's. Our Hotel & Hospitality Website Design Services offer you everything you need, from premium Hotel & Resort website design, business level - fast and secure hosting, email, newsletter function, availability Calendar, multi-language and payment functionalities, as well as a specially designed and easy to use Content Management System (CMS) which means you can log in and update your site when you need to. Our professional hotel and resort website design solutions ensure that things will be looking up for your hotel online. 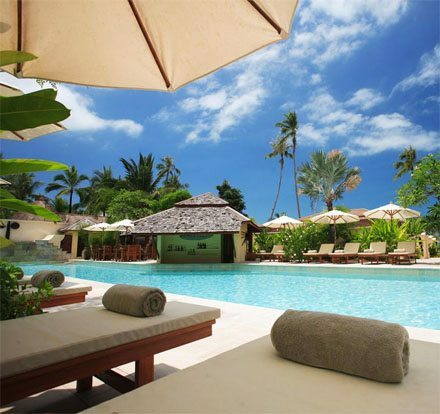 We specialise in Internet Marketing & SEO for Hotels and Resorts. We’ve designed a range custom tools and techniques to get results. At Sierra IT Group we have extensive experience in designing custom hotel booking engines that convert visitors to bookers. Wheter you have a small resort or are a large hotel, we offer high performance & secure hosting solutions of any type and size. Need something unique to your hotel? Challenge our talented team to create a custom POS or PMS System for your Hotel. Does your Hotel or Resort require professional Web design? Will my hotel website work on phones and tablets? Yes, absolutely. 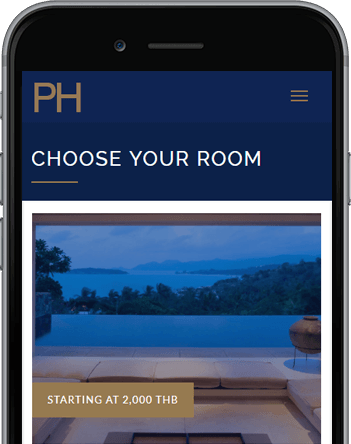 All of the websites we develop for hotels, resorts, SPA's and the entire hospitality industry are so called responsive and mobile friendly. This means your website will show up and work just fine on a smartphone or tablet. Part of our hotel web design process involves testing the website in all the major browsers, as well as mobile devices. Can you work with larger Resorts or Hotel chains? Yes. At Sierra IT Group we approach each and every situation on a case by case basis, therefore we are able to work with small hotel locations as well as larger resorts or chains. What will my Hotel website look like? The design of the site has endless possibilities. If you already have specific design ideas in mind, that's great. Each one of our professional hotel & resort web site design solution is custom, you have an infinite amount of options as it relates to your design. As part of our process we work with you side by side in order to figure out likes, dislikes, existing color schemes, goals etc. helping us put together the pieces that will end up shaping the design. Our proposals fully describe the look and feel the website will have and you will also see screen shots and such to help make the look and feel crystal clear, even before we start with the actual development process. Developing a specialist site that preserved our brand standards while creating a warmer and more engaging experience was not an easy task and we are delighted with the outcome. The results are very pleasing and the assistance has been nothing but exceptional. Immediately we noticed a great difference! Not only in terms of design but also in the quality and volume of new business enquiries and bookings. The team at Sierra Group knows their stuff and I can highly recommend their services!